Both of the books this week are about young girls that go missing. (I think it must be time for my daughter to go back to school.)Anyway. 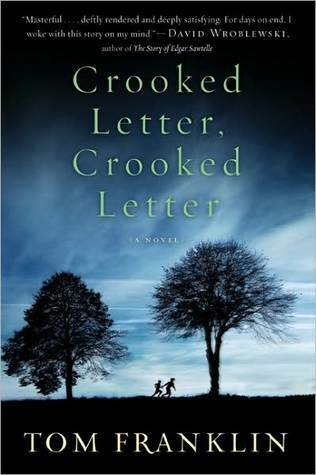 The first book is “Crooked Letter, Crooked Letter” by Tom Franklin. In the ’70s, middle-class white boy Larry Ott was friends for a brief time with Silas Jones, the son of a single, black woman. Ott, always considered a little odd, is connected to the disappearance of a young girl. Fast forward 20 years and Ott is still shunned by the community, even though he was never formally accused of any crime. However, he has made friends with an extremely creepy young man who idolizes Ott. Jones is now a constable in the town and ends up embroiled in another girl’s disappearance. The two men are forced to face their pasts and confront issues that were never resolved. Really well written and engrossing. 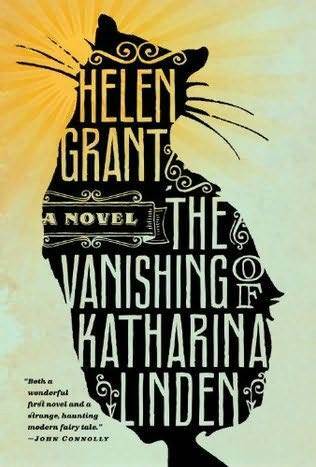 In Helen Grant’s “The Vanishing of Katharina Linden,” the story is told from the point of view from Pia, a 10-year-old German girl. Her schoolmates are disappearing with no trace, and she’s determined to find out what’s going on–and see if there’s a connection to missing girls from decades ago. With the help from a friend (the only person her age who associates with her), Pia embarks on a journey where she encounters true evil–which is a hard concept to grasp–even if you’re not 10. Intertwined with fairy tales and ghost stories, the novel was good and I found it interesting that the author kept telling the story in a small child’s point of view. She didn’t always understand what was happening, or why. Kind of like real life.